Looks like a valve build might be able to happen this weekend! We are pumped to get the Ion firing more effectively. As long as I can get to work on some design we should be able to turn it out this coming weekend! With our last build resulting in a gun that could be muzzle loaded to fire single shots, Brian was confident that we could attain semi-auto firing over the course of the coming weekend. The main problems and parts that needed to be addressed to get to that point were correcting the cycling issues in the bolt, rigging a sort of makeshift trigger system to fire the gun, and feeding paintballs into the system. The issue that had to be solved first was the issue of cycling. After our second build, we found that the bolt was not being forced forward by the firing pressure when the control pressure was released. To fire the gun, we had to assist the bolt by pushing on the back of it with something. 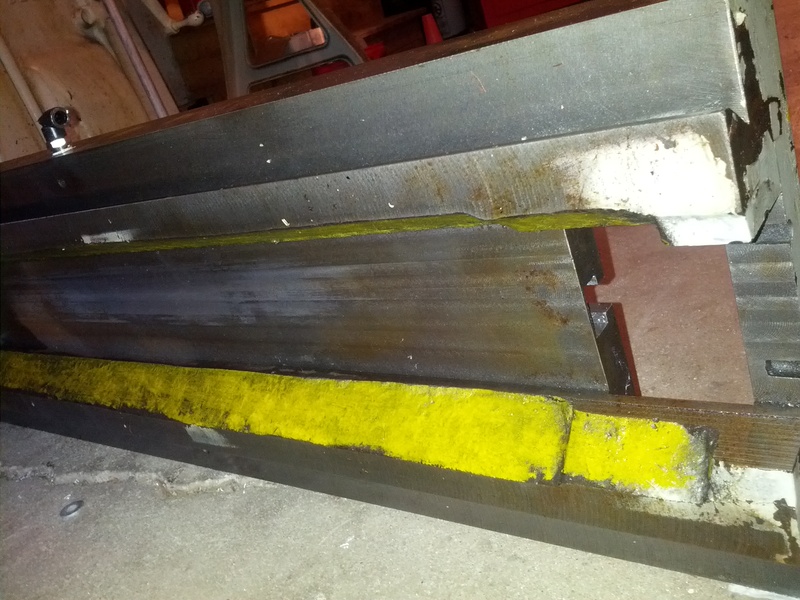 We expected that the primary cause of this problematic friction was the surface finish of our internal parts. 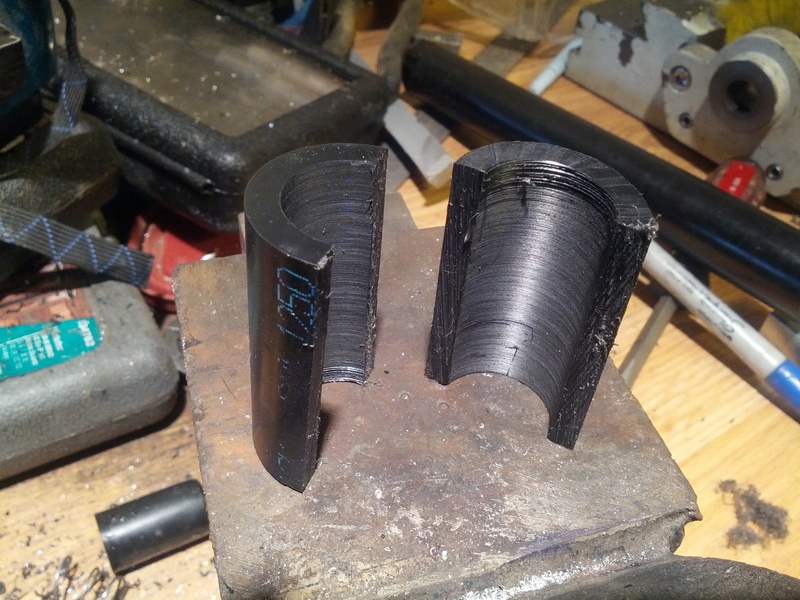 This appeared to be an easy fix after some fine grit sanding on the lathe. Another way that we helped the movement of the bolt was by deepening the o-ring grooves to relieve a little pressure on the bolt. 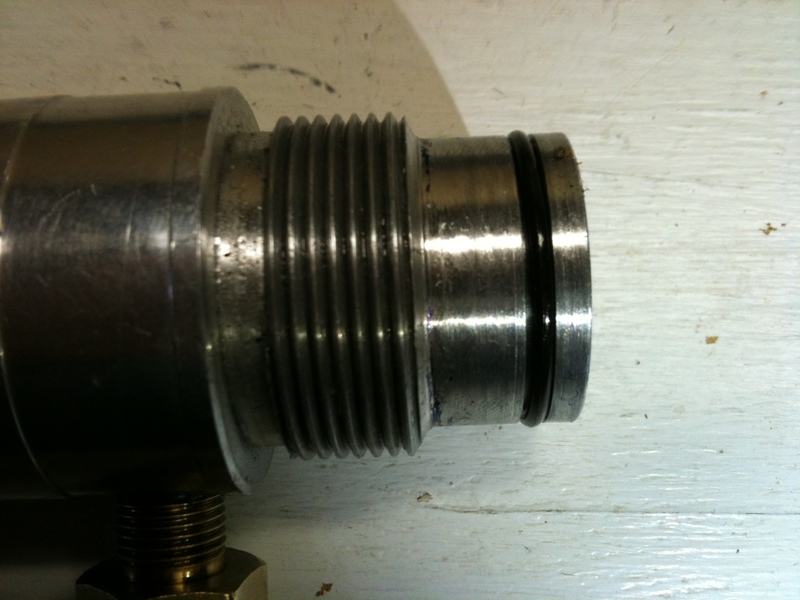 In this setup, pressure is supplied by separate hoses. 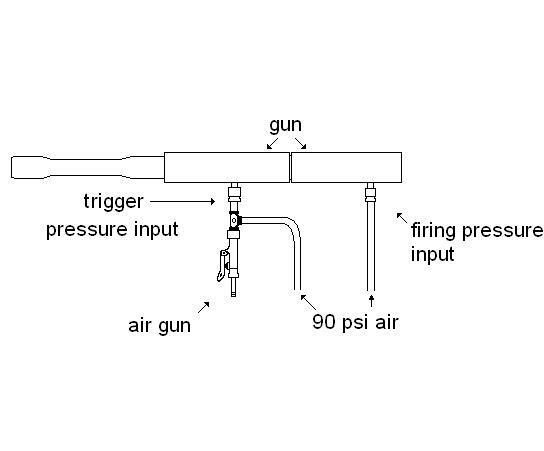 The firing pressure is constant as it will be on the final version, and an air gun is used to dump pressure from the control chamber in place of a solenoid-actuated valve. We did have a problem off the start because the trigger pressure input was pumping air too fast for the air gun to dump it. 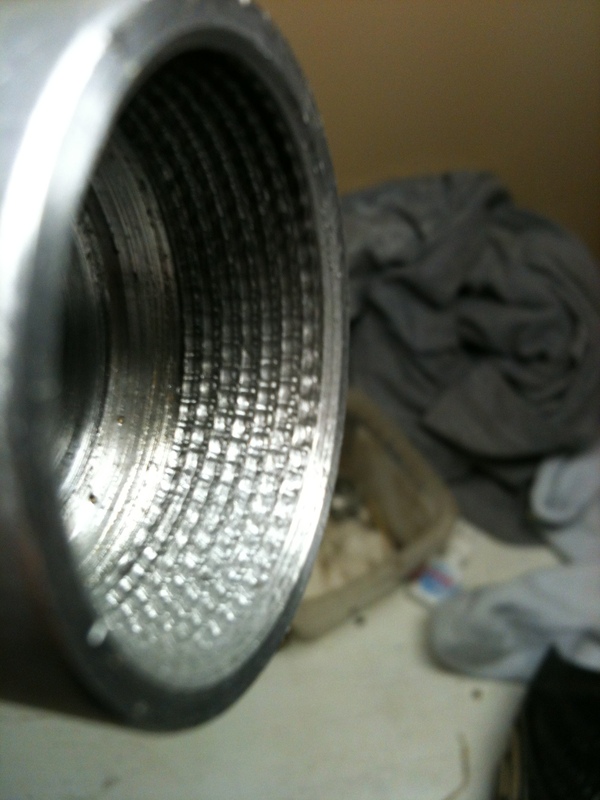 this was causing the chamber to remain at too high a pressure for the bolt to cycle. to fix this, we basically jammed a plug into the input hose to slow the rate at which air could flow through it just enough to allow the bolt to cycle. With this setup, we achieved semiautomatic fire without ammunition. At this point I am returning to this post after over a year of absence, so my recollection may be a bit fuzzy. I apologize for any inconvenience. 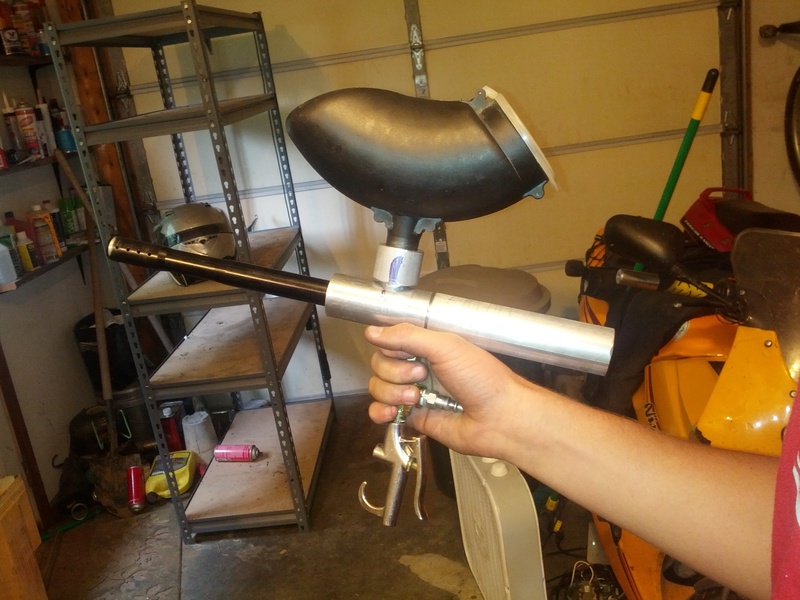 In order to feed paintballs into the gun, we decided to create a basic hopper feed system by boring a large hole in the top of the gun. We then threaded the hole and created another piece that fit tightly onto the neck of a hopper and threaded into place on the gun. Since this was the first time we had to do anything on a different axis than the firing axis, it meant we got to use a new toy. 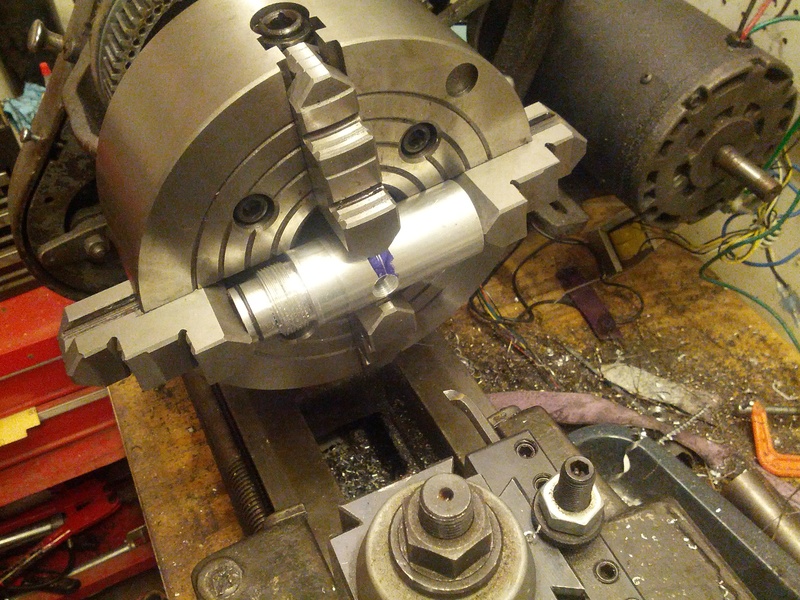 Brian had recently bought a four jaw chuck that was useful for this type of operation. The mount for this job is pictured below. 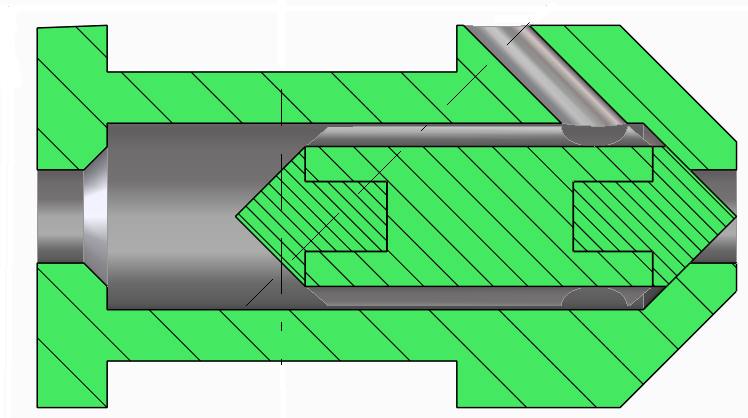 The hole was started using a wood bore bit, and the hole was widened using a boring bar. 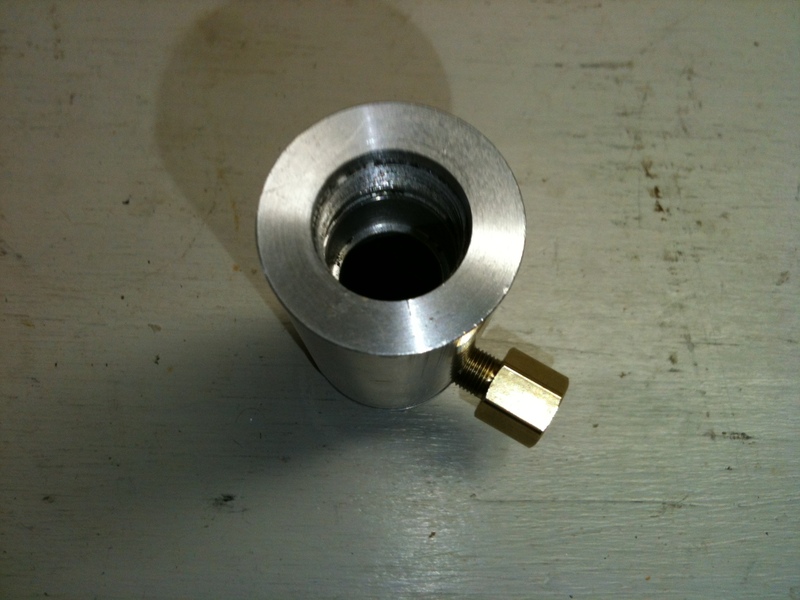 After making both parts, we attached a hopper and voila! It is amazing how much that hopper makes it look like a gun. We rigged up our makeshift trigger system (partially pictured above) and took it outside to try firing it a few times. Now that the firing mechanism is operational, we need to set up a trigger mechanism. 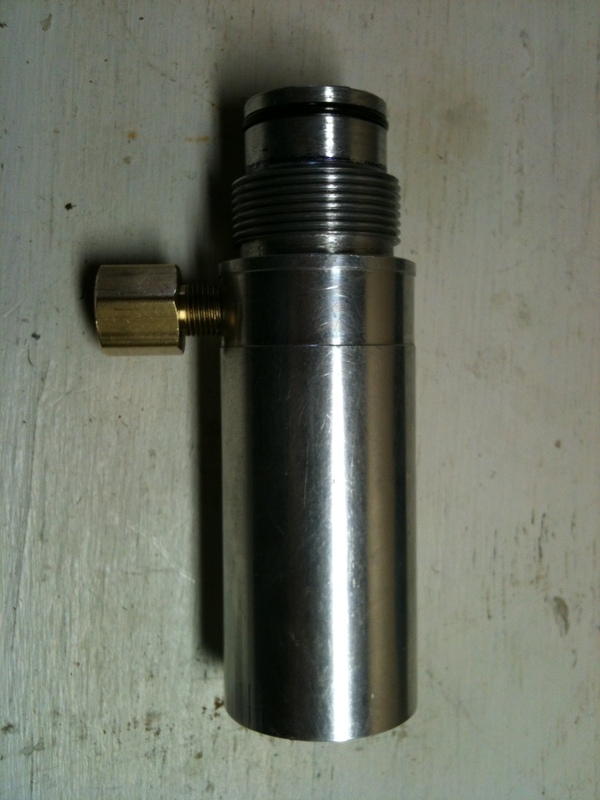 The primary phase of this process will be the design of the solenoid valve. A concept is shown below. This valve will be actuated like a solenoid. There will be a copper wire winding around the left end of the valve body which will pull the hammer back when charged. 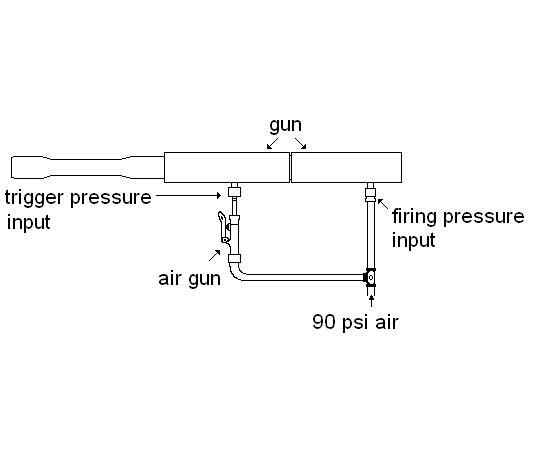 With the control pressure now dumped, the present firing pressure will be able to fire the weapon. 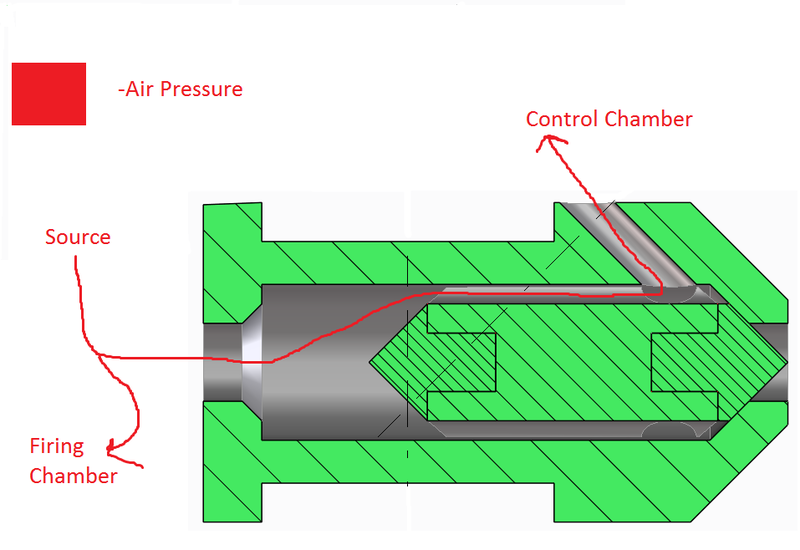 After firing, the source pressure will return the hammer to its original position as soon as the solenoid is deactivated, allowing the recharge of the control chamber. Hopefully with some refinements to this design, and a free weekend to build, Brian and I can get a real paintball gun together. We still have to deal with making the gun run on CO2, which brings in a whole host of regulation and expansion issues, but I think we are fairly close to a workable product. I am sorry to anyone who was affected by my delay in posting this write-up, and I hope you enjoy its contents. Hey! Looks good! Using the end-final position of sigma and everything 😉 <-(Not actually smart, just looked at Wikipedia) I am curious about the sigma in place of the Tau in invention, however. I think yours pronounces better, but for the sake of readability and direct letter translation I think am going to stick with the Tau for now, unless you feel like convincing me otherwise (which you probably could). Definitely smart to replace the omega with a beta though, I was a sophomore in high school when I made that logo and I think I just used whatever Word put in for me 😉 Thanks for the interest in the site and the helpful comment!! I’m to the point where I feel like I’m ready to sell this mod to a few brave beta testers! The kit will include all of the components required to do the mod (custom PCB, programmed microcontroller, footswitch, resistors, etc.). You’ll need to be able to solder and connect wires to the DL4 PCB, as well as assemble the Smart Switch PCB. Check out our shiny new website for more details. I would like to get on the list to purchase the DL4 mod. I’m guessing your site got blown up from the number of people emailing to get on your list. Every time I try and fill out the email form to get on the waiting list I get this message when I click “Place Order”…. I’m guessing, like so many others that saw you on Reverb’s “The 7 Best DL-4 Mods,” that your simple web page has been over run. Thought I’d try to contact you and let you know this way. Also to hopefully get on the list for the mod as well. Best of luck to you guys! Thank you so much for letting us know! We are working on fixing it now. Email me at schoolcraft.rj@gmail.com with your full name and address and I’ll get you on the list. My apartment’s mail room lost my last batch of PCBs so there may be a delay before I can start sending out orders because I have to track those down first. Thanks again! 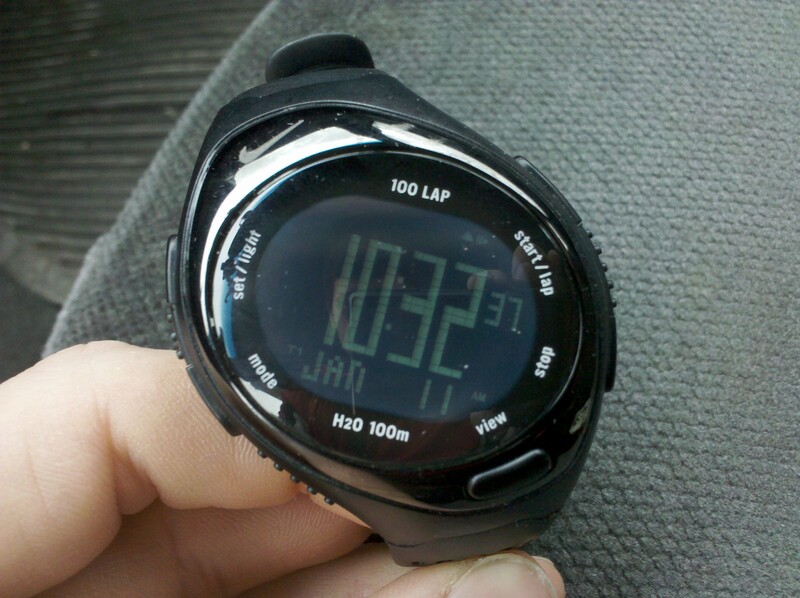 The battery on my Nike Triax watch (WR0127-004) died a few months ago. I finally got around to fiddling with it, and was met with an unexpected lack of information online regarding the replacement procedure. Looking the watch over, it seemed fairly straightforward, just remove the four screws on the backplate and replace the battery. You could skip cutting the band and instead use a needle and pliers to push out the watchband pin, but there is a danger of stabbing yourself. There is no spring in the watchband, just a rod that is pressure/interference fit. awesome mod. Do you have diy kits yet? 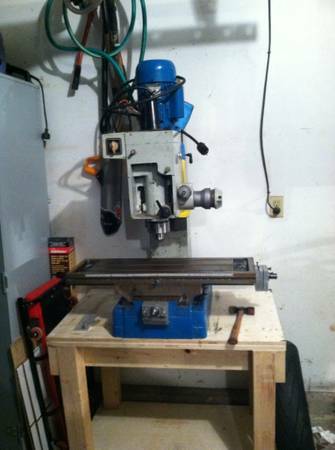 If not would you be willing to hook me up with a schematic or possibly just some more details on this? No prob. Thanks a lot for posting the code. I was missing the transistor part of the circuit and it gave me fits, but I was finally able to figure it out with an arduino uno and a transistor. I’m just a civil engineer (EIT)… It takes us a little longer to catch on. I think you would have a huge market if you started offering this mod. Thanks again for posting your code! You’re Welcome! I’m glad you got it working. Lol, you haven’t seen me try to build a bridge! And thanks, I hope so! After playing with it for a few days I think i have noticed a weakness in the code at least as it functions for me. On slow songs sometimes I will depress the tap on the beat and let it back up on the and of the beat to help me tap in time. I find that subdividing the rhythm helps me lock it in better (I have been accused of not having rhythm). I’m not sure why this is happening but I’m thinking the HOLD_DELAY 750 is timing out and resetting the tapstate variable. Is there any reason in the way you coded it that the HOLD_DELAY can’t equal 2002 to match the RESET_TIME? Was the selection of 750 arbitrary or did you have a reason? Ah, you’re running into the double preset part of the mod. On the full mod, I have an extra MOSFET switch hooked up that receives either 5V or ground from the arduino. 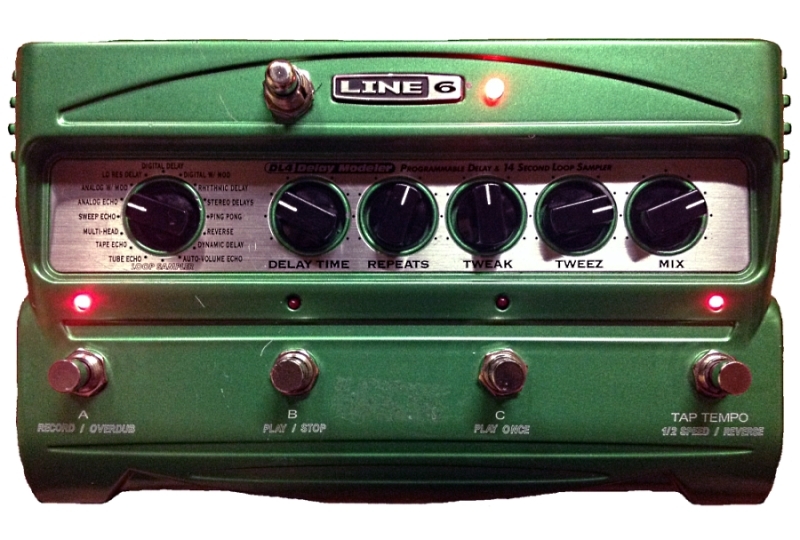 When hooked up properly to the DL4 it will act like an expression pedal. Holding the switch down for 750ms (which is what appears to be happening on the slow songs) flip flops the 5V/ground output from digital pin 8 I think, and it does reset the tap counts thus messing up the tempo. That feature should be pretty easy to remove in the debounce function as it is only necessary if you want the double preset thing to work. I’ll take a look at it tomorrow or Wednesday and try and post a version without that feature in it and that should fix it! Sorry about that! Thanks. I appreciate it. I use the double preset wheel instead of the switch. Thanks again for posting the code. It has made my dl4 infinitely more useable. No problem, I’m glad it’s helping you out! Hello jschoolie, I’m interested in your mod on DL4. Can you send me the list of parts i need and some info so I can make one for mine? Hey Marius, I’m actually fairly close to having a PDF with the instructions and parts list etc. put together and I will post it on here when I have it done in a few days. Thanks Bobby, and I haven’t heard of any one doing that but I’d be willing to give it a shot! There may be some modifications to the code/process in general but I’m sure it could be done. Hey man!! I play in a worship group and i love the dl4 except for the part that there is no 1/8!! You’re video inspired me!!! I am 17 and i just bout the Arduino mega!! I spent so much money so i can copy that code into a micro-controller but i would like to know if u have finished your pdf file showing what kind of switch i need and what parts (resistors, capacitors,regulators) i need and where to put them in the pref-board! Please man!! God Bless You! Hey dude! Glad to hear you like the mod and I’m also glad to hear you are using your talents to serve the Lord. I’ll have the PDF done and posted within a couple of weeks. I’m waiting on parts to get in and get my directions tested out before I post anything official. Thanks for your interest! Thank you soo much man!!! Please let me know asap when you get everything done!! I dont need a kit i just need a pdf with all the intructions and i can get the stuff my self! You will help me use my dl4 in a better way!! God bless man!! Hey man! did u receive my email? Very cool! I am very new to avr programming, but this project really caught my attention. How easy would it be to add to the code allowing you to choose between a few different tap multipliers that are controlled via spdt switch of some kind? like choosing between 1/4, dotted 1/8 and 1/8. 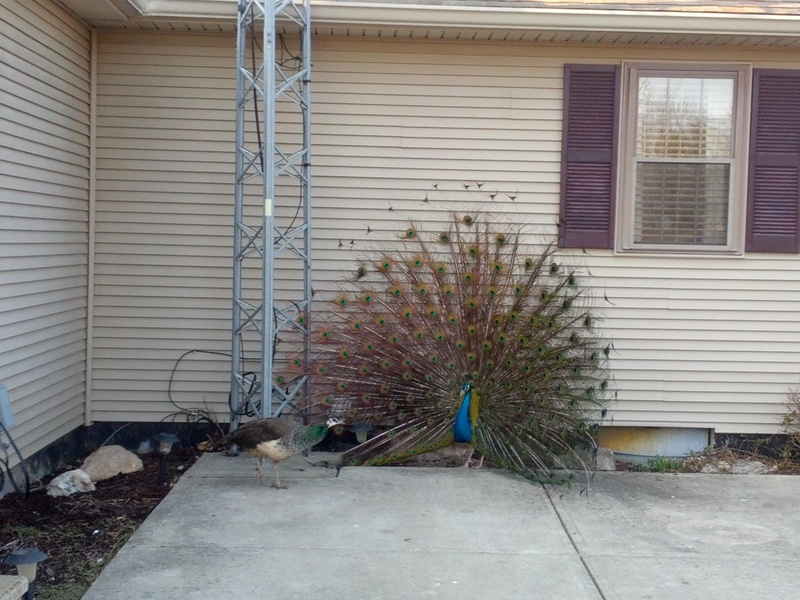 I’ve used the Zenith SL-5408 motion activated security light as a motion detector for my Bird Blaster. In version 1.0, I couldn’t get the detector to work off battery power, even though the whole circuit runs at 5V levels. Now that I’ve acquired a little more electronics equipment and knowledge, I thought I’d take another crack at powering the detector from a low voltage source. 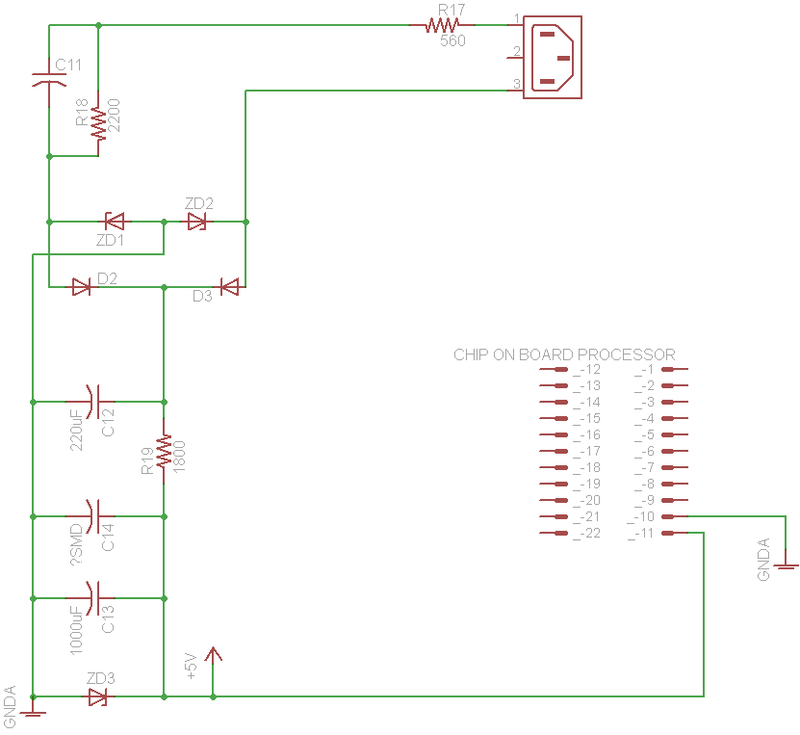 I started this round of reverse engineering by drawing out the power supply circuit in Eagle, adding components until I had reached the point where regulated 5V was present in the circuit. At this point, I didn’t notice anything that I hadn’t noticed the last time around. It was fairly obvious where the 5V supply originated, and that the PIR and timing circuit only used the 5V supply. The schematic is shown below. The 22 pin connection shown on the right is the point where the chip on board processor (the brains of the motion detector) is soldered in at a right angle to the main circuit board. Great hack ! I have done a similar one to turn the output into a switch and delete the 120v . Good to know these can be hacked to use DC . How can I reduce the test function to 1second? You’re wanting the output to remain active for one second instead of the stock five seconds right? If you’re using the arduino like I have in this post, you could just read in the output from the detector, then output a 1 sec signal through a separate relay or transistor controlled by the arduino. The only catch is that the detector will still reset on it’s normal schedule. I’ve also wondered if sending a faster clock signal to the detector would work. For example, sending a 300Hz square wave instead of a 60Hz square wave may reduce the test time from 5 sec to 1 sec. This would only work an the detector I used, and may not work at all :). What motion detector are you using? Pretty sure its the same home depot Heath, I’ll have to double check. My setup is to scare deer out of the yard with stored rainwater (city water to expensive) and compressed air. I get a lot of false detections during the day with clouds causing cooler and hotter spots. OK with using 110v in and hack for switched out. But with the 5 second on and continual false starts would like to cut it back using less air/water. Looking at a time delay so it will cycle maybe 30 seconds before it would restart. Think Arduino is the only answer? Something like the 555 circuit I used for the bird blaster should be adequate. 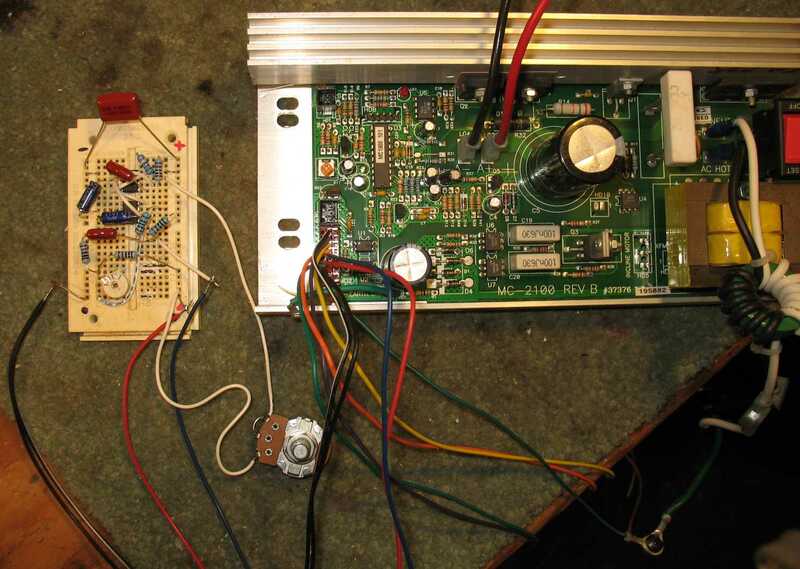 The circuit in that post has 2 second ON time with control pulses at the beginning and end. I don’t think it would be too hard to incorporate a 30 second reset delay. What are you using to control the water flow or compressed air? That will determine what the control singals need to look like. Are you currently just using the motion detector’s relay? Yes, just using the relay in the motion detector. Looks like I need to incorporate your 555 controlling circuit. 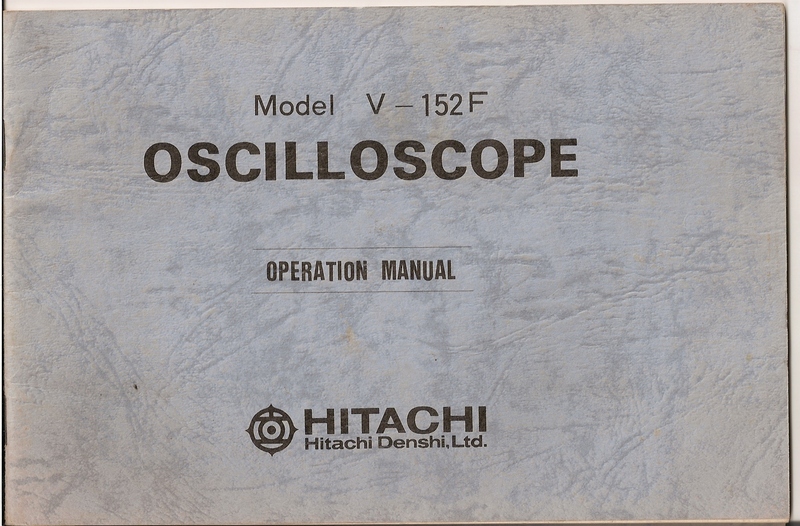 Now all I need is to learn to read the schematic. Honestly, using the Arduino may require less investment of time and materials if you’re new to electronics. Knowing what I need, which arduino kit would you recommend? I have two motion sensors hooked to one 25vac ( blind spot) sprinkler valve. Pretty sure 12vdc would operate it if need be. The standard Arduino Uno R3 is the simplest choice for getting started. You can get it at RadioShack or sparkfun.com. You’ll also need some resistors, an NPN transistor, a diode, and a relay with a 5v coil to actuate the valves. A 12v adapter that fits the Arduino’s power jack would be handy as well. Add a breadboard to build the circuit on (or proto board if you want to solder, maybe just skip the board entirely and solder the components directly together) and you’re good to go :-). Your motion detector will need to have the relay modded too if you haven’t already done so. Lots of good info, has me headed in the right direction to tweek this thing the way I want it. Great. I’d love to hear how things go if/when you work on it.